Fight back just like a rebel this Halloween. The Princess Leia Blaster is the perfect add on to your Star Wars costume. Just like any rebel, Princess Leia used her strength and with to dismantle the evil empire. 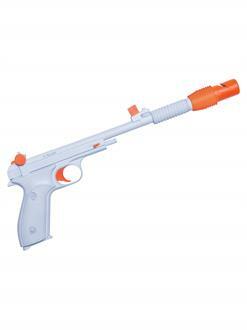 They white and orange plastic toy weapon is great for cosplay and parties. Order your Star Wars toy weapon today!